Federal investigators told NBC News that Hoover and the other Mountain Medical Care employees exploited the system and reaped massive amounts of money in return. The clinic was a for-profit pill mill, charging $450 in cash for first-time clients, and investigators said doctors often did not even see the patients to whom they were giving prescriptions. Clients who wanted a second prescription would pay $150 to a receptionist, who would hand out a new script after asking several questions, investigators claim. One investigator said, he was told by a nurse at the clinic to get an X-ray because "if the feds walk in right now, she wanted them to be able to pick up any chart that they want and find that the clinic is searching for what’s wrong with the patient." With a script in hand, clients would then walk down the street to either one of the two Williamson pharmacies; over the decade, some 20.8 million painkillers were dispensed. 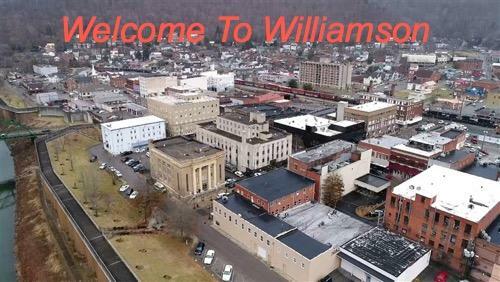 "They called it ‘Pilliamson,’ instead of Williamson," Mingo County Prosecuting Attorney Michael Sparks told The Charleston Gazette in 2011. "It was an open secret, you might say." Federal court documents showed Hoover was West Virginia’s top prescriber of controlled substances. She was described by the clinic’s owner as its "bread and butter." It all came to an end in 2010, however, when the government raided her clinic due to its excessive opioid prescribing. She immediately fled to the Bahamas but was not charged nor convicted for the excess prescriptions. This is different from some doctors and clinics that have been prosecuted during the opioid epidemic. "Legal experts told NBC News that it would not have been difficult to extradite Hoover when she went to the Bahamas. But she was never prosecuted. One theory offered by legal experts and NBC News is the case against her may be difficult to prove — since she insists she did nothing wrong and took steps, like requiring patients take X-rays, to provide cover for her prescriptions. Another is that she may have been a government witness. We might never know the truth," said NBC News. West Virginia leads all other states in drug overdose deaths. The state had an age-adjusted drug overdose death rate of 52 per 100,000 people in 2016. 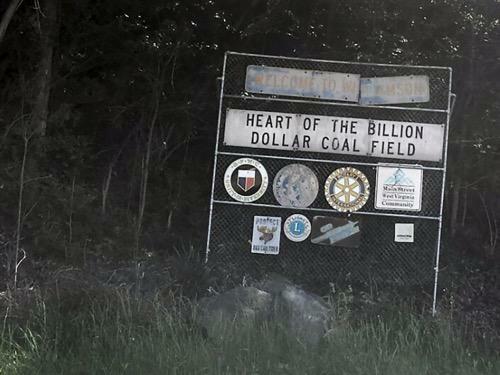 Second-worst Ohio was at 39.1, nearly 25 % below West Virginia’s extraordinary rate of deaths. In the early 2000s, the opioid crisis was in its earlier stages, first fueled by doctors like Hoover, but also well-intentioned doctors who thought opioids were the only solution to treat pain. 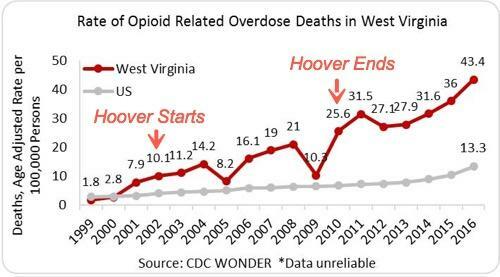 The Charleston Gazette-Mail in West Virginia uncovered a shocking statistic: From 2007 to 2012, pharmaceutical companies dumped 780 million painkillers into the state — which has a total population of about 1.8 million. As for Hoover's prosecution, Valarie Blake, an associate professor at West Virginia University’s law school, told NBC News that state and federal prosecutors would face a difficult time convincing a jury that Hoover had committed a crime. "It’s very difficult to prove these cases," said Blake. Pain management is very subjective, and corrupt doctors use X-rays or other documents to support their claims, Blake added. During a recent congressional hearing of five Big Pharma executives over the deadly opioid epidemic, a Georgia lawmaker brought up Hoover’s name. "Do you know whatever came about with Dr. Hoover?" Rep. Buddy Carter, a Republican, asked. "She fled to the Bahamas. She bought an island." Overprescribing triggered the opioid epidemic. Hoover like many other doctors have escaped charges. They exploited the system by playing by the book. Yet while the government is finally cracking down on opioid abuse, the one question left is: why did the government allow pharmaceutical companies and for-profit pill mills to pump millions of highly addictive opioids into the Rust Belt in the first place?